RECAP - We want to thank our sponsors, vendors, volunteers, celebrities, participants and family members who came out to the 2nd Annual Advantage Games. Despite the rain the event was a great success with 162 volunteers, 16 sponsors, 18 vendors, 20 celebrity athletes and over 400 participants and family members. The foundation looks forward to continuing to grow the Advantage Games and help the families we support to celebrate their achievements. If you have any questions, comments, concerns or what you would like to see added to next years Advantage Games please email us at info@reggiesandersfoundation.org. At the Advantage Games our stars are the kids, their families, our support partners, local businesses, schools, universities and related organizations who bridge the divide that exists. With the pillars of the Reggie Sanders Foundation Tool Kit Survival, Success, Significance, and Service our games bring this wonderful and diverse group of individuals into the spotlight where they are empowered and encouraged to showcase their skills. This is done without judgment or force with the goal being to change not only the way they are viewed and treated, but also gather them in from the margins of society. We don’t just level the playing fields we make; new ones by leveraging the gap between communities and industries. 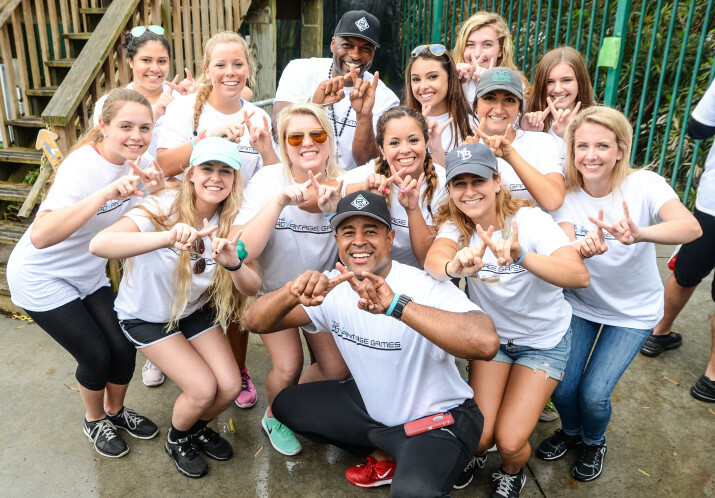 Reggie Sanders and the Reggie Sanders Foundation is committed to creating a culture of compassion, creativity, and champions. These games remove the stigma and the sting these individuals endure daily by providing a place for them to showcase their skill on the baseball field. The kids aren’t a deficit to themselves or society; they are a unique difference. The Advantage Games is a one-day private event for our families, sponsors, and volunteers. Each game has been carefully designed by ABA therapists to help participants work on their fine/gross motor skills, safety skills, living skills and team building. While the kids are engaged in the games we will have an Informational Fair for the parents to gain information about services that are provided in our area as well as strategies for their child to become self-sufficient and positive members in the community after the school bell and graduation.